Coin Game – It is a fast-paced game where children have mixed coins in front of them. Their task is to identify each of the coins and gather them according to their kind. Ask kids to carefully examine the coins and let them arrange them in sequence. Create a pattern that kids can follow, and then cover the example afterward. Let them internalize the last arrangement and ask them to make the same pattern on the remaining coins, provided with a specific time limit. Remove the cover from the example to check if the kids got it correctly. If not, let them repeat the exercise until they get it right. This activity helps children boost their memory and concentration. 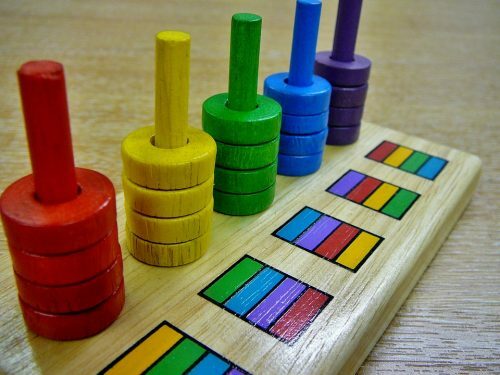 Color Game – Children with ADHD have a short span of attention so playing color games might help. Let the kids familiarize a specific area of the room and ask them to identify each color they see on certain objects they notice. Give them a couple of minutes to close their eyes so they can internalize ideas gathered from their visuals. From there, ask them to turn around and identify the colors of the objects you will provide. This exercise will not only help in strengthening the length of their attention, but it will also encourage their critical thinking. 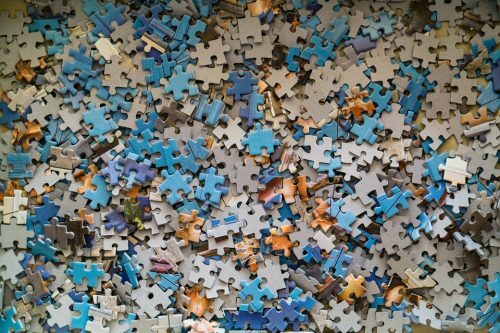 Puzzles – Since children with ADHD are often disorganized, playing puzzles help them sustain focus. It is a fun board game with cutout mixed shapes that perfectly fit together when arranged. The task involves letting the kids start working on the puzzle and asking them to figure out its missing parts and pieces. Since it is a trial and error game, make kids feel comfortable in doing the task by allowing them to choose randomly. This activity improves kids’ retention, concentration, and ability to create a sequence. Physical Game – Physical exercises are equally important for children with ADHD. Not only does it help the cardiovascular system, but it also promotes proper brain development for the kids as well. Let children discover their psychomotor skills and allow them to do activities like jumping, running, walking, and cycling. Set up some simple constructed tracks that kids can play with. These physical activities promote heart rate and increase neurotransmitters that stabilize mood. Since children with ADHD often have excess energy compared to other kids, it is a great way to channel those. Let them attend dance classes, karate training, structured skating or swimming lessons as well. Not only does it help build the kids’ confidence, but it will also provide them outlets for exploration. Though each child may respond differently to various activities, all of them will still develop a proper brain development through these.